Today I’m going to take a quick look at the Cozmo Mambo Combo which I received a few months ago from WaterField. This company proudly designs and manufactures all its bags in San Francisco. 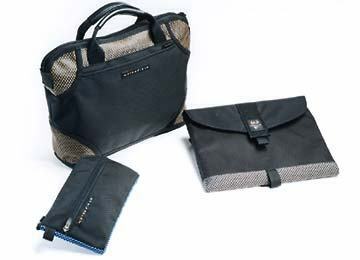 The Cozmo Mambo Combo includes three bags: the Comzo, SleeveCase and a medium pouch (either the Cableguy or Gearpouch). 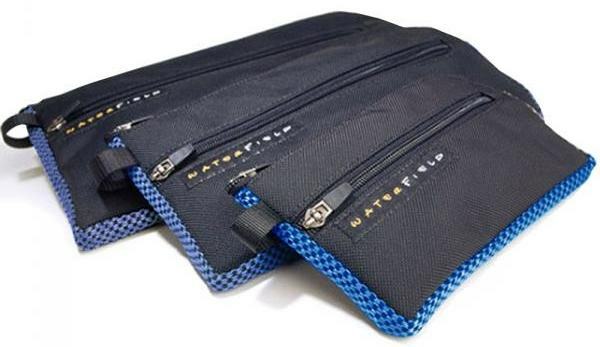 WaterField offers a lot of customization options. 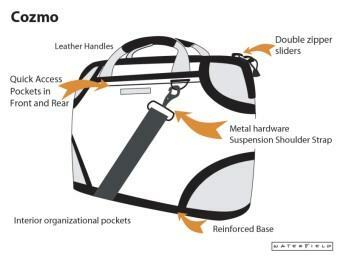 The Cozmo bag is available in three sizes and eight colours (including pink and black leather for $30 extra). The Cableguy and Gear Pouch are available in different colours and the SleeveCase is available in dozens of sizes – on their website they list most popular notebooks and tell you which size you need. You can choose between a horizontal or vertical orientation of the sleevecase, add a flap, add a shoulder strap and add a piggyback. I picked out the black leather Cozmo bag. 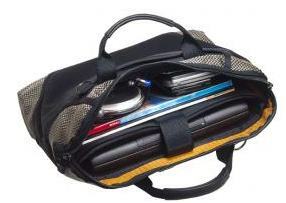 The bag is very roomy and features lots of pockets which you can stuff with extra gear for your notebook or other small things. The exterior of the bag is black and only the edges are made out of leather. It’s a bit disappointing that only a small area is covered with leather because you have to pay an additional $30 for this option. The inside of the bag is dark-orangish and the pockets inside the bag are black. 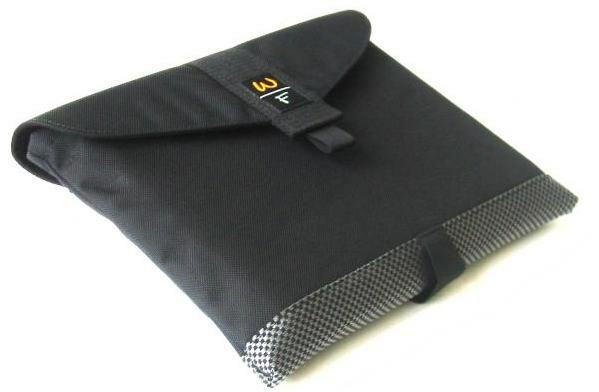 The SleeveCase is made to protect your laptop. The protection starts with a proper fit and the inside of the bag is pretty soft so it won’t make any scratches. I also got the additional PiggyBack bag for the SleeveCase which costs $22 more. You can attach it to the SleeveCase’s strap rings to carry more stuff. I got one of the medium Gear Pouches. It’s pretty big and you can use it to stow cables, adaptors, travel papers, … It features a main compartment and a side pocket. 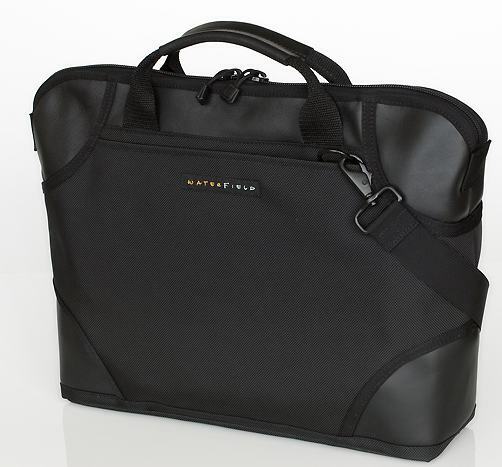 The Cozmo Mambo Combo from WaterField is a good set of bags for your notebook. They are all well made and will last for a long time. I've been using this bag for a couple of months to carry my Dell Inspiron 6000 notebook with me. The only serious disadvantage is the high price. The combo with all extra features like mine will cost you $259 plus shipping. With a bit less options (without leather and the piggyback/shoulderstrap/flap for the SleeveCase ) the price drops to $174. That's a bit more affordable but still quite expensive for a laptop bag in my opinion. Easy to carry, the suspension strap feels good. The Cozmo Mambo Combo gets a 8/10.